Viewer warning - this post contains images of dead fish. If this is likely to offend, turn away now. However, re-purposing carp starts with catching them - this is where fishing-experienced relatives are vital. There is a method that needs to be followed. First, invite relatives handy with hook, sinker and swivel to your property. Then provide them with a picnic and transportation to fishing spot and, let them rip. In short order three things are achieved - one more carp is removed from our waterways, the host is delighted with free fertiliser for her garden and guest fishing-handy visiting relative has an easy catch - woah - such holiday fun! An afternoon of fishing yielded 4 large carp. With respect, they were dispatched very promptly. Into the esky the carp went and they were transported home with plans for fish emulsion. I sourced a recipe and decided the next day to head to the local little smoke for ingredients - sawdust, Epsom salts and molasses. Trouble is that, try as I might, the only ingredient that was available was the Epsom salts. Defeated I returned home - what to do now? So in the intervening period of course, the carp were still sitting in the esky... and it was over 30c. I think you can smell the problem from wherever you are? Early the next morning, while it was still cool and the sun was low I decided to get value from the haul of carp even if I could not make fish emulsion so I decided to bury them where I wanted to plant some fruit trees. 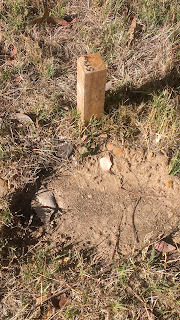 I marked their graves with a stake and will wait a while while they turn into something a plant might enjoy. I now have 4 planting spaces for fruit trees marked out. In the meantime we are still trying to de-carp the esky! 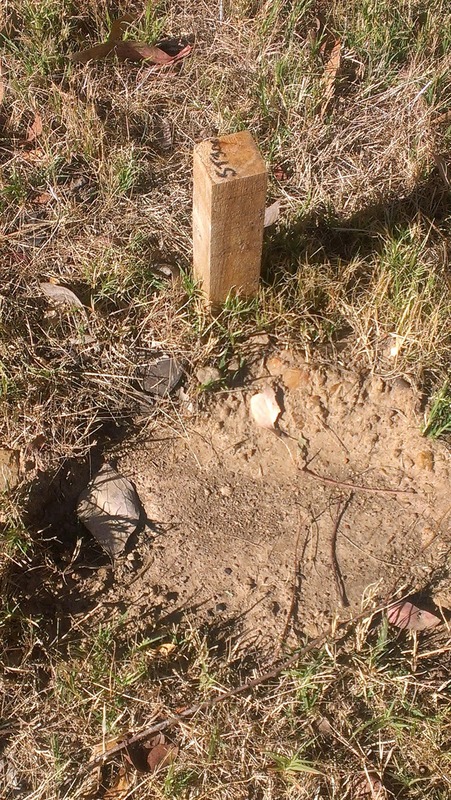 How long do you think I should wait before I plant trees in the carpy grave? Have you ever made fish emulsion? 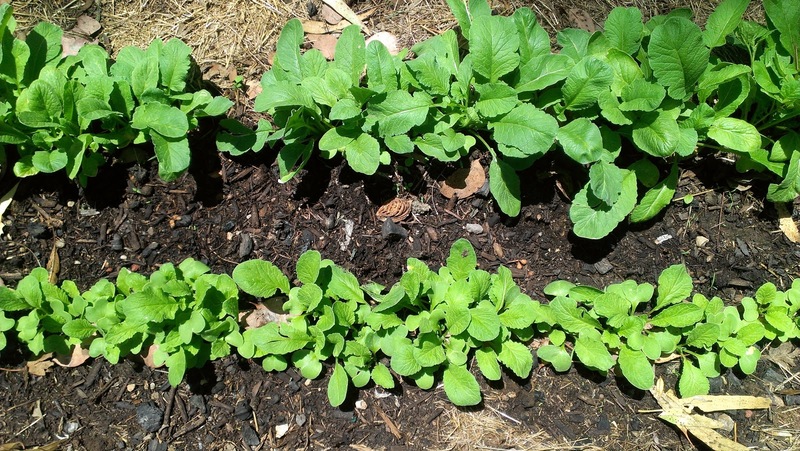 Ever used your fish scraps as fertiliser? 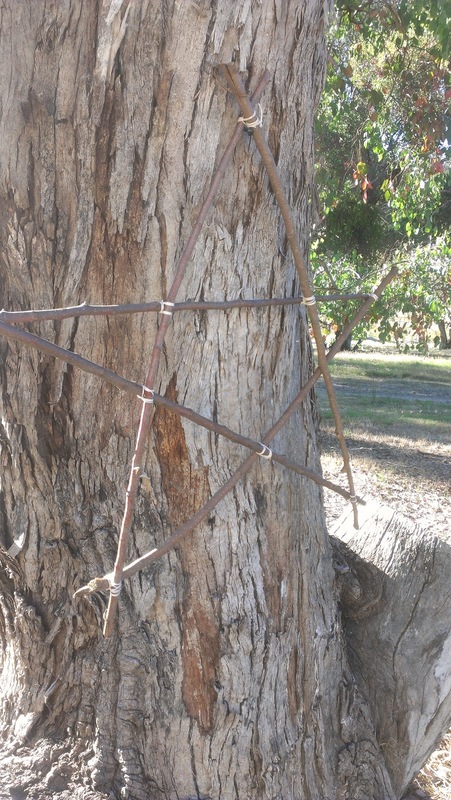 Have any other handy ways to re-purpose invading species (plant or animal) making them more environmentally friendly? I have been at it again - gleaning fruit. On the way back from a trip to the 'Waste Recovery Centre' (such a polite phrase), I spied it - a tree with yellow-orange fruit. 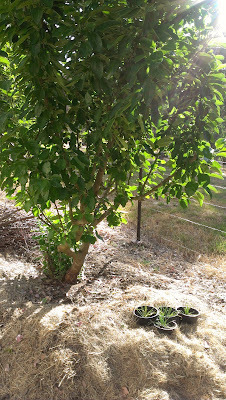 Hmm, ripe apricots I thought and we did a 'u-ee' and climbed the steep grassy slope between the tree and the roadside. There on the side of the road was not an apricot, but a lovely yellow plum. Again the hat was deployed as picking bag. 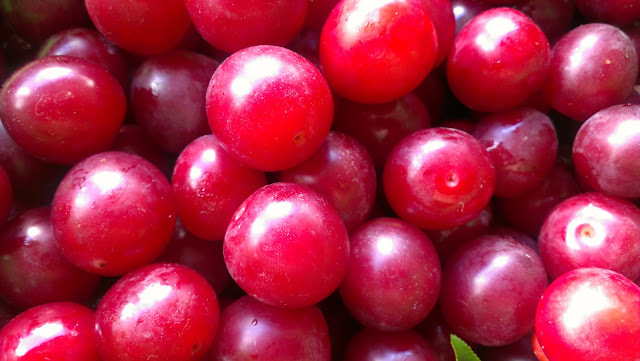 The fruit were tiny again, just like the last glean of plums. 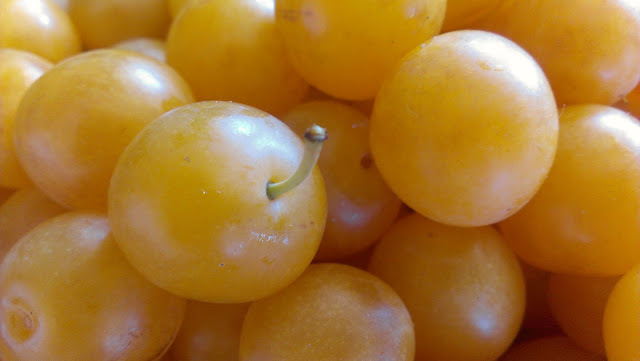 They were totally ripe and a wonderful combo of sweetness and tartness. I picked only a small amount - the tree was quite small and this is enough anyway, leave some for others and the birds I say. But what to make? - they needed to be cooked right away so ripe they were. I decided to stew them but, because they were so small, I decided to stew them right down into a purée. Normally I like chunks in my stewed fruit but cooking it right down made it easier to remove the pips and the skins. 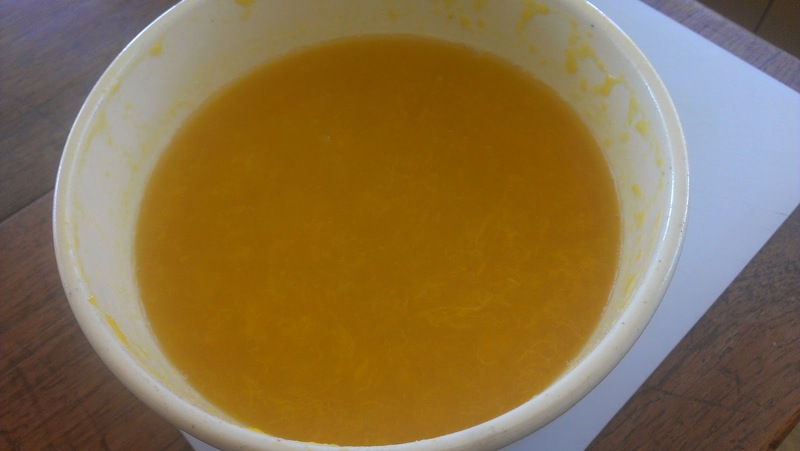 I now have about 3 cups of this golden essence of yellow plum now tucked away in the freezer for an upside-down pudding for winter warming. 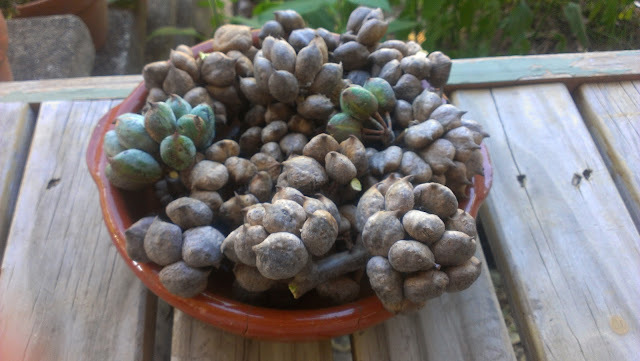 Now I know I should be very grateful for whatever fruit I find on my gleaning trips, but I am looking forward to finding an apricot or a nectarine soon - I have to keep looking. 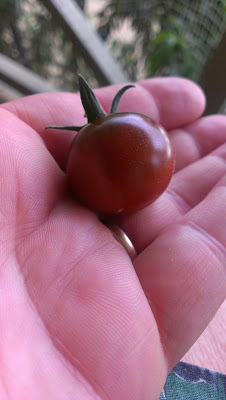 Yesterday I picked the first real produce from our new patch. 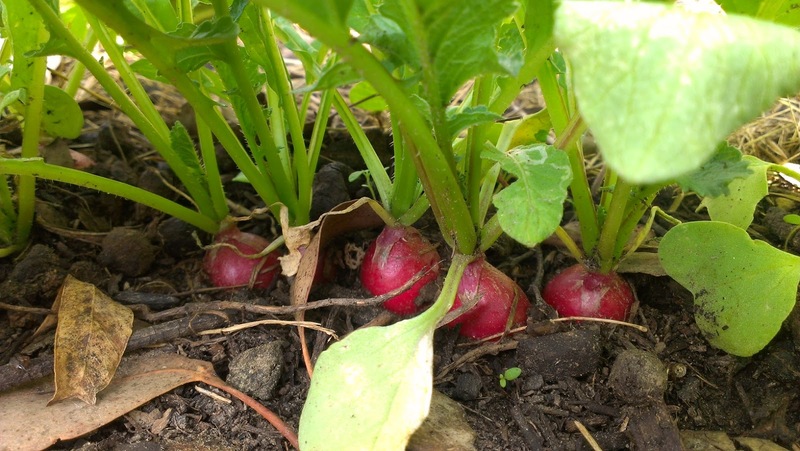 It was a humble radish - the first produce that had been raised from seed in our new garden beds. 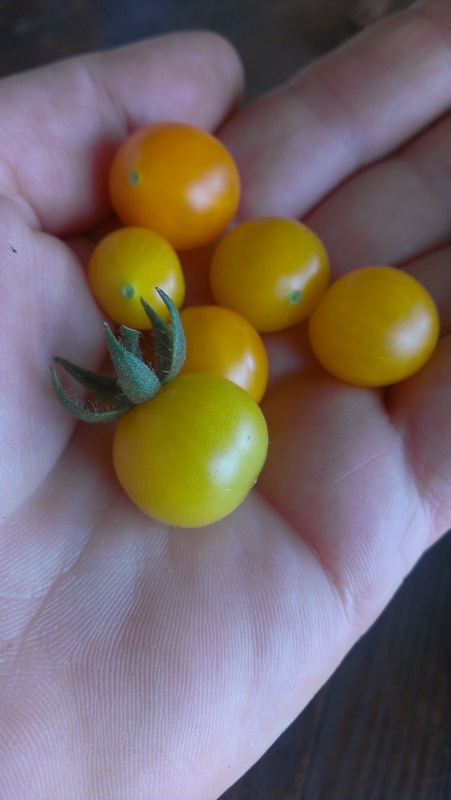 I had been picking a little already - the odd tiny tomato and chilli and handfulls of blueberries - but these were transplants and much like myself, raised in the city patch and placed into their new home here at Highfield. 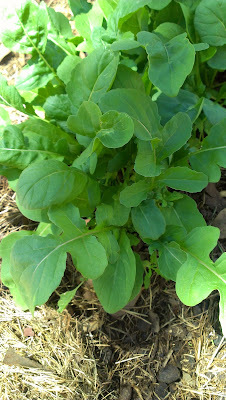 This radish is a native Highfielder. I know that the radish is not especially hard to grow or especially exotic, but there is some special satisfaction in the first crop from a new garden and radish are so easily able to provide that satisfaction becasue they are such a quick crop. And they are both pretty and pretty delicious. 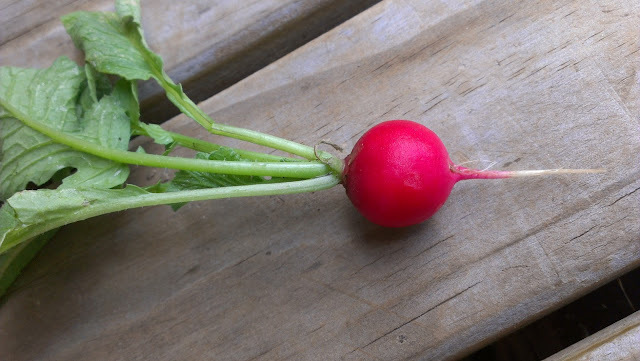 Today I picked a bunch of radish for a lunch time swipe thru home made hummus. I have one row ready to harvest from, another with solid green tops and another row put in just yesterday. The best thing about the radish rows is that there doesn't seem to be a pest here that fancy them. 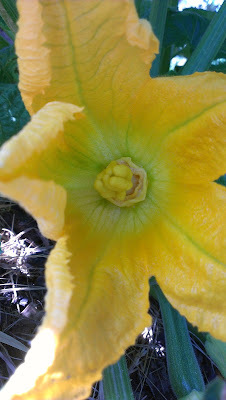 I have had endless trouble with pumpkins and beans which seem irresistible to the bevy of beasties that live here, but the radish (and the rocket for that matter which I will start harvesting too soon) don't seem to be desired by the rabbits, tip nipping earwigs, slaters or the tiny stink bugs I have discovered today climbing all over my tomatoes. 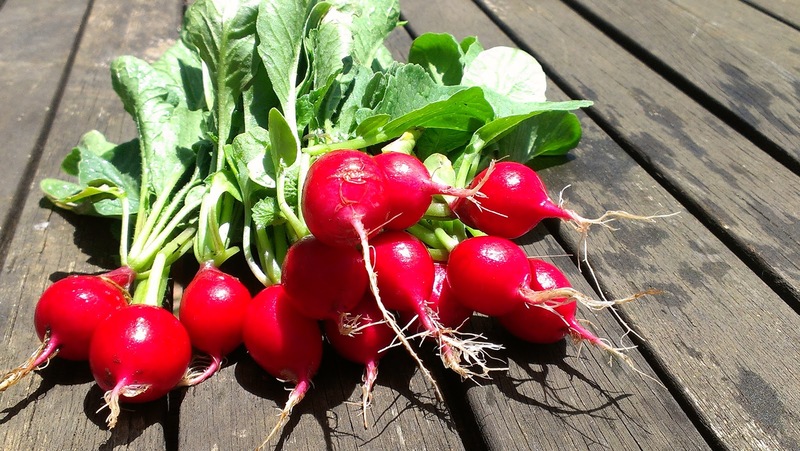 Radish and rocket salad on the menu. I am not sure whether to be delighted or despondent. 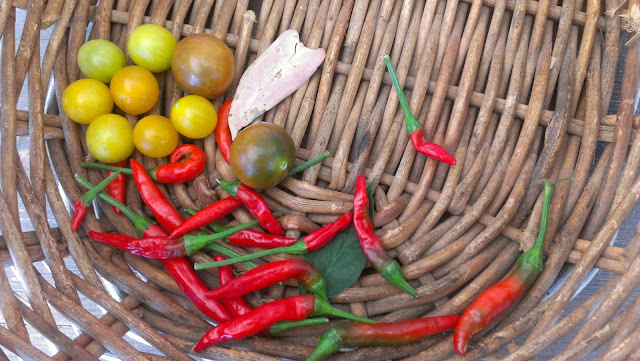 Normally, I would be hauling produce in from the backyard in my favourite basket, providing the Christmas table with tomatoes, beans, cucumbers, herbs, lettuce, rocket, radish, chillies, lemons and limes and sundry other things. 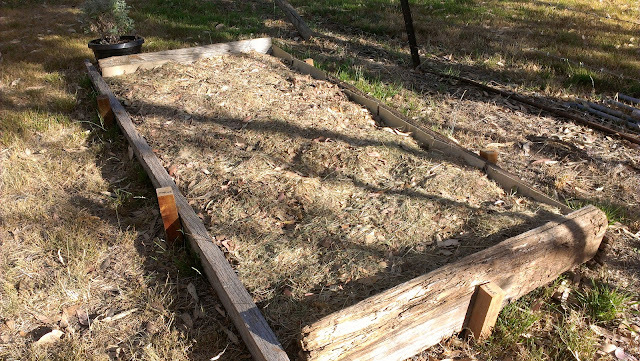 But as we moved in mid November to our new place my beds are new and my produce scant. Still I guess I am picking something. Here is today's pickings...no where near what I would normally be bringing in and the chillies are tiny - a consequence of needing to be careful with the water at the moment? Over the week I have picked a few other things too but in tiny amounts. 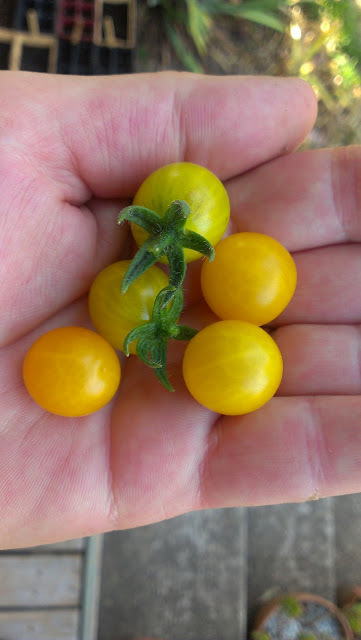 I have had some more tomatoes - these are Brown Berries and Broad Yellow Ripple Currant. Decent hands full of blueberries with another picking ready for harvest for tomorrow's breakfast. But there are things on the way. My zucchs are fruiting up nicely now - the bees must have found them. My zebras are doing very well, and, as it looks as though there are no fruit fly here, I may have them all to myself for a change! 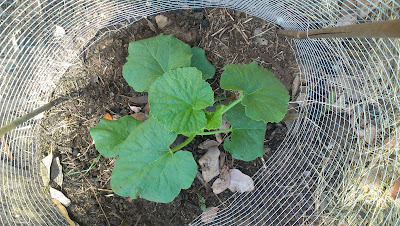 My junior cucumber plants (Spacemaster) are looking very happy despite the heat we have had. 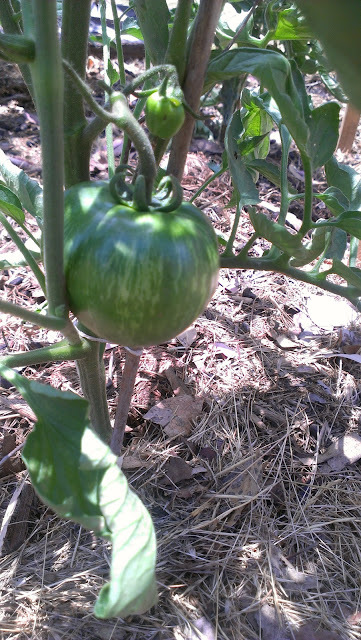 Tigger the melon is starting to run and the eggplants are forming. Last night we had 40mm of rain and an amazing light show via the most dramatic thunderstorm you could imagine. The whole sky lit up at times like momentary daylight with sheet lightening across the distant hills. This year we are sharing our Festive Season with new co-residents - the native wildlife that live at Highfield with us. Take a look at our Wildlife page to see who we have met already. Best wishes everyone, may your garden prosper over whatever type of Festive occasion you celebrate at this time of year. Today we pilfered plums. Well, maybe not pilfered - gleaned. 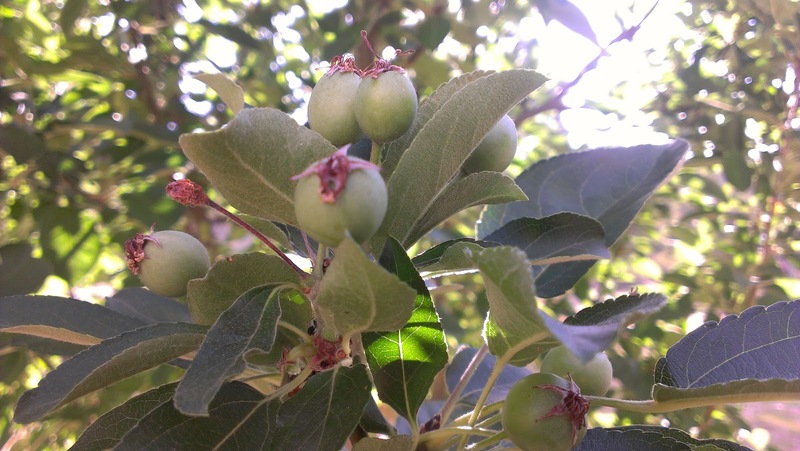 Along the side of public roads in our area and on no-one in particular's land, there are a multitude of different wild fruit trees. They are stoic souls - they sit un-tendered, un-fertilised and un-pruned, un-watered and survive droughts and neglect and produce. So far, on our occasional journeys to the local little smoke, we have spotted figs, apples, plums, apricots and others we know are fruit trees but right now we are not sure which type. All results of a little stone tossing from the car window? Today we came across a plum tree loaded with ripe fruit. The fruit was small - so small in fact that at first glance I thought we had happened upon a cherry tree. On closer inspection we were equally delighted to find the tree laden with ripe, red, tart plums. I like my fruit tart. We gleaned about 3 kgs in my hat partly (which thankfully happens to be plum coloured), but also in one of our shopping bags. We left plenty for others and also for the birds. On return home, I contemplated the options - eating them fresh?, plum jam?, a spicy plum sauce to eat with cold meats? stewed plums for stashing and having hot in winter? 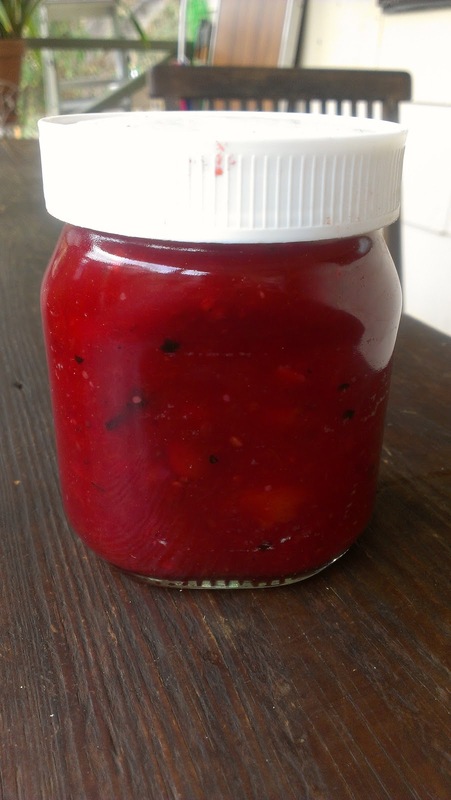 I went for a spicy plum sauce and pretty much made a recipe up. 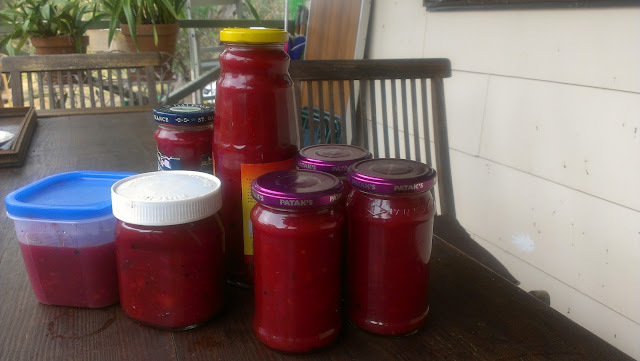 It was a crazy day to make anything hot let alone a jammy sauce - it was 35C here today and is still at 7pm, 30C. I didn't take note of quantities (except for the weight of the plums), but here is what went in it. The plums were so small that it was best not to try to extract the pips before cooking, rather I put it all ingredients in a saucepan and cooked till the fruit fell off the pip then laboriously took the pips out of the cooked mixture - I suspect I have missed a few - take care teeth. That's a lot of spicy plum sauce so some of it might become post-Christmas gifts. Do you know the best thing about today's adventure? I couldn't find a fruit fly maggot - perhaps we are fruit fly free here. 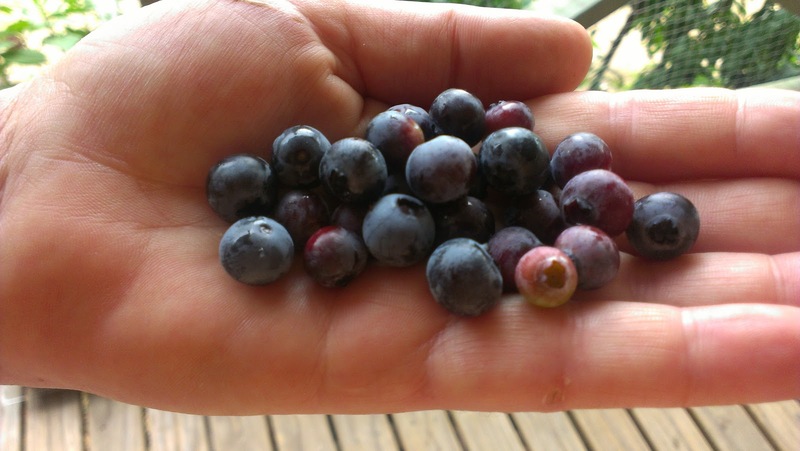 Do you glean? What are you gleaning at the moment? What trees are you eyeing-off for a future raid? Dear me, I got a little busy and forgot to post yesterday on the vegetable in need of character restoration - the humble zucchini. You know how it is at this time of the year - shopping. Yesterday I spent most of the day in at my local little smoke Tumut, doing the Christmas shopping and making sure I had enough supplies for visiting family and friends, and enough supplies to not have to go 'out' again for some time, so the last thing on my mind was the zucchini character restoration project.
" I have had to remove my four zucchini plants which have given very small yields, acquired a mould leaf and they had spread out of control keeping a heavy cover on the other things like my herbs, beetroot and new rhubarb..."
Hmm, pretty sad when even your mother is 'on the other side'. But her email did make me consider - what is the right number of zucchini plants. No offence mum, but four does seem excessive, especially for a one person household! What would you do with the glut? I have only one in at the moment, but am raising another one to extend my season. I think two on a succession planting is probably enough. On the other hand one can get so tempted by planting a number at the same time but of different colours - a dark green one, a light green one and a yellow one for pretty salads. 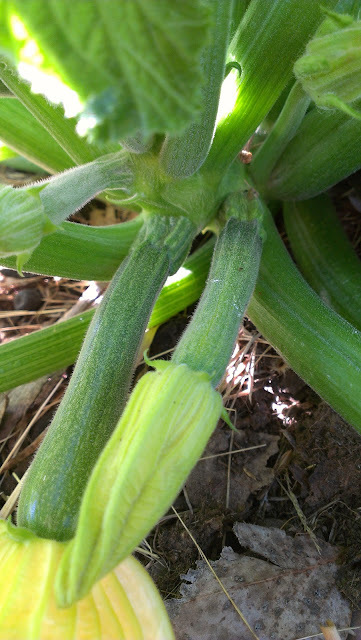 What's happening in your zucchini world? Any mouldy leaf? Any one else tempted (like my mother) to commit mass zucchini murder? 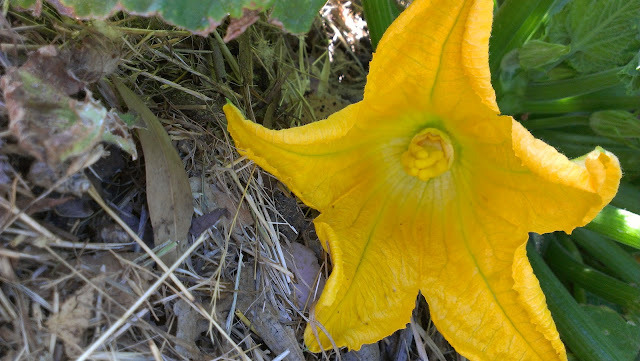 Just in case anyone out there is considering bucking the 'love your zucchini' movement I post here appealing pictures of adorable zucchini flowers from my Greenskin. How could you pull this out I ask you! One of the first seeds I put in the new patch were climbing bean seeds. I put in a row of Blue Lake as soon as I had a bed and wire for them and they came out of the ground quickly and strongly. In fact, while I didn't count, I think I got pretty much a 100% germination? Yippee! - off and running. I am growing lots of beans this season, of course because I like eating them, but also because I want all they can offer - their food value as well as their nitrogen fixing nodules to contribute to the ongoing fertility of the hastily built beds. But I have a problem - I have a mystery tip nipper. As mentioned, the Blue Lake came up quickly and well and looked fantastically strong little plants. But something was odd, they didn't seem to go past their cotyledon stage (the first two baby leaves of a plant). 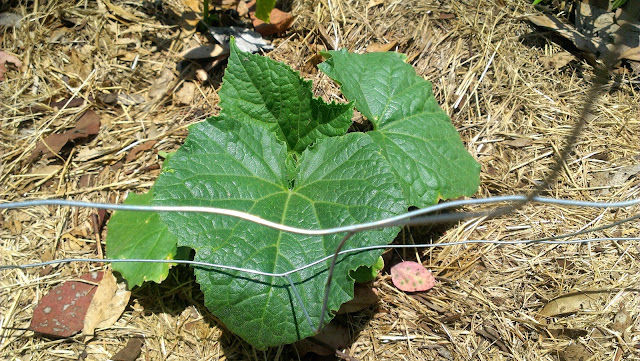 Surely they'd start to send up their first real leaves and their searching tendril-like thin stem looking for the wire to support them and they'd get climbing soon, right? I kept looking each morning for action, but there was none, what was wrong? Down on my hands and knees I closely inspected the growing tip of the Blue Lakes - it seem as if they have been nipped out! Every single one of the baby plants has had this treatment - just as if I had used my (dirty) finger nails to take the tip out myself. Who is my mystery tip nipper - any ideas? And any ideas on how I can protect the other beans about to burst out of the ground? Here I am mid-December and beans stuck at cotyledon stage forever. Better get sowing another row! Want mulch? You mow girl! 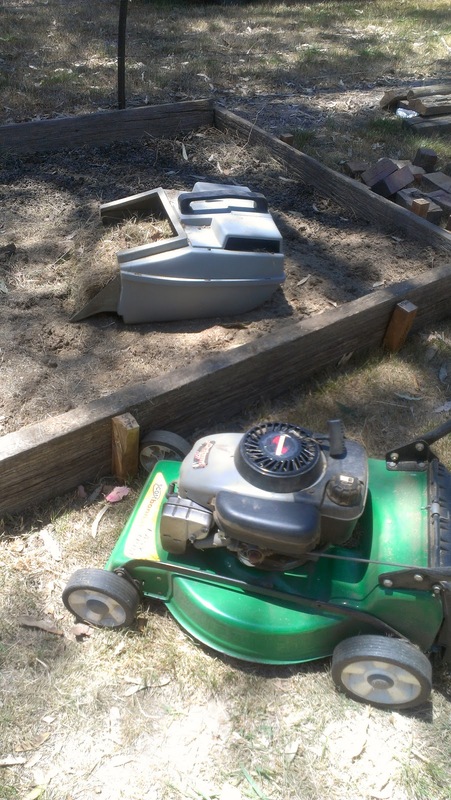 I think that I have mowed more grass in the last two weeks than I have mowed in the rest of my entire life! 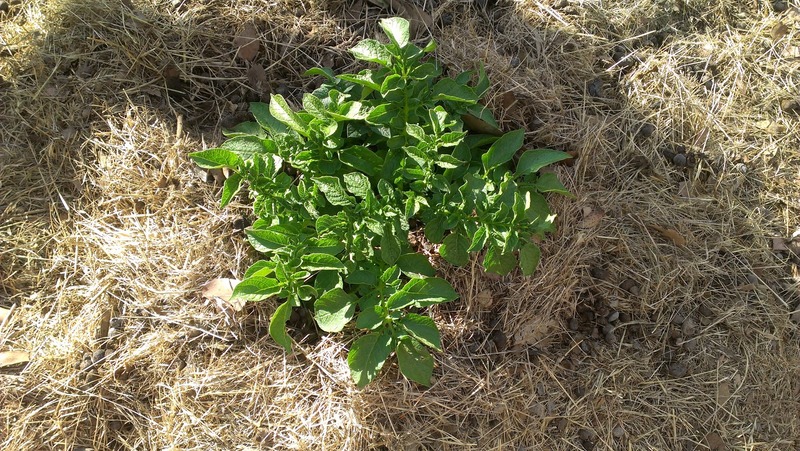 I have mowed for two reasons - to remove long grass from around the house and house yard as a part of fire protection and to gather mulch in the form of grass clippings for my new vegetable patch. In the past, in my city patch, I would use some grass clippings for my mulch - but as the grass clippings there were very green and a little too 'hot' to add to the veggies and, as the quantities of mowings were small, I used to buy most of my mulch - normally sugar cane. But here at Highfield, the grass is plentiful, high and dry (and therefore cooler for the veggies) and potentially dangerous fire wise so close to the house, so, off with their heads! I don't want to think about the size of the space I have mowed... it's huge and I suspect that the mowing miles I have done have contributed to the loss of a couple of kilos! It was all mowed with a 'regular' mower, not a ride-on (I think I want a ride on mower for Christmas - Santa - do you read blogs?). But as a result of all this activity I have mulched my newly made veggie beds, mulched under the crab apples and mulched a couple of potatoes plants that have appeared all on their own in a corner of the yard. 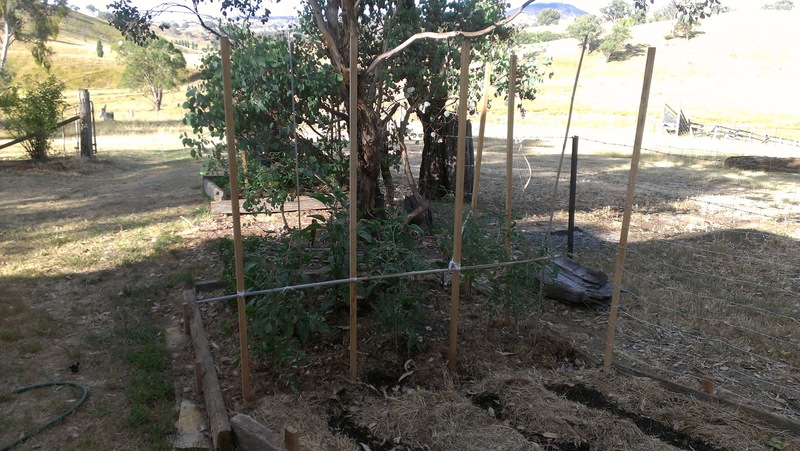 In three short weeks we have made a number of veggie beds, a short one in the front of the house, a small one on the side that is called the zucchini ward, and a really long patch all along the side of the house. There is also a small patch right at the back, a potato pile in one corner and three pumpkin / melon mounds. As we have only just started, there is hardly anything evident in the beds right now. 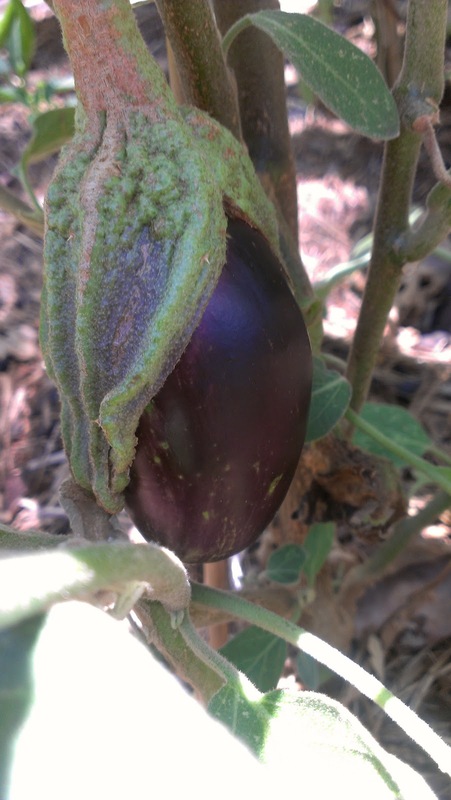 The only plants that can really be seen are those that I re-located from the city (tomatoes, fennel, eggplants and chillies). Then there are other things being raised in seed punnets - comfrey, fennel, basil, zinnias, red marigolds, padron chillies, long cayenne chillies. 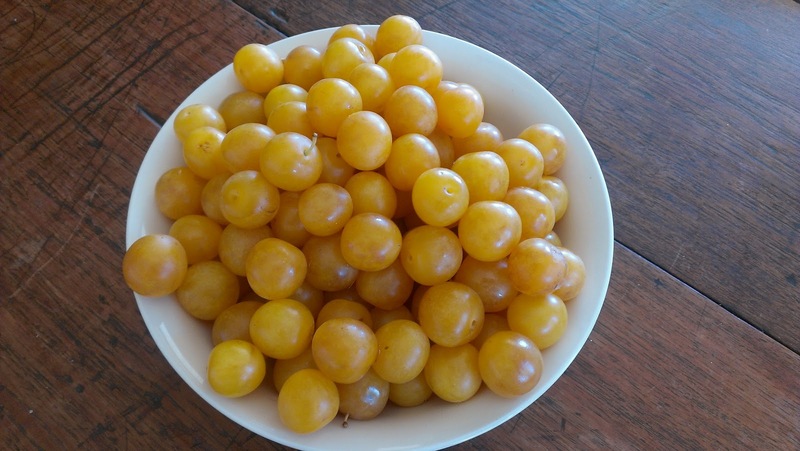 But as a beacon of hope of productivity, today I picked some of the first tomatoes (Broad Yellow Ripple Currant), raised in Sydney and re-located to Highfield. And there are crab apples to wait on. Where to hang the star? 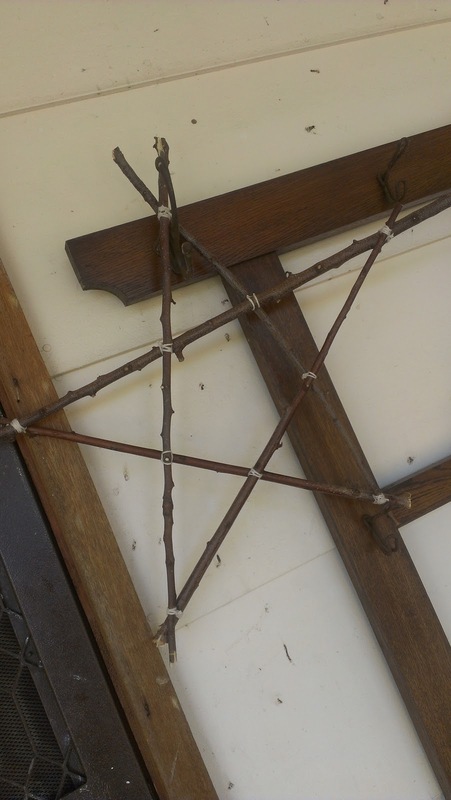 I have been tinkering with bits of wood and prunings to make festive things. I have made two wonky bush stars from the hard prunings of the peach trees - this little one above and a bigger one below. 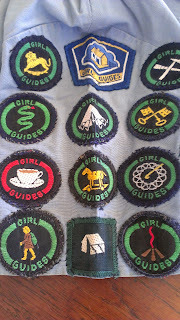 I used my 'skills' (somewhat faded) in lashing, learnt when a wee girl in the Girl Guides. It surprisingly worked - the muscle memory was still there! 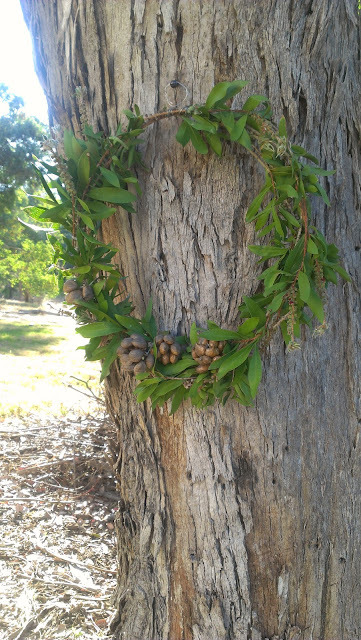 I also made a wreath from the prunings from the bottle brush (Callistemon) and decorated it with Hakea nuts. 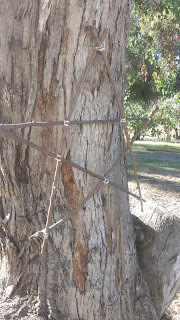 It's hanging on the big Red Box tree near the house. I like it there. Don't you love the bark of this tree? 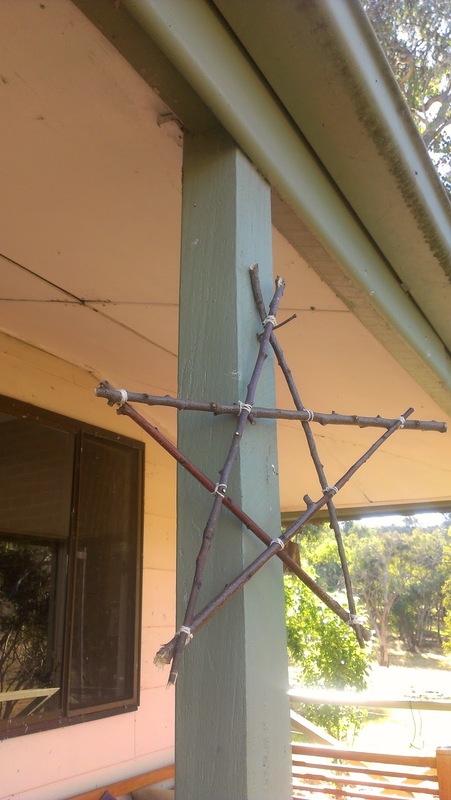 But where to hang the wonky stars? 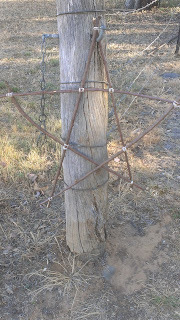 On the fence post, on a tree, on the hat stand or on the house? Have you started to 'fester' yet? What festive items have you made? Are they vegetable, animal, mineral, textile, preserved? 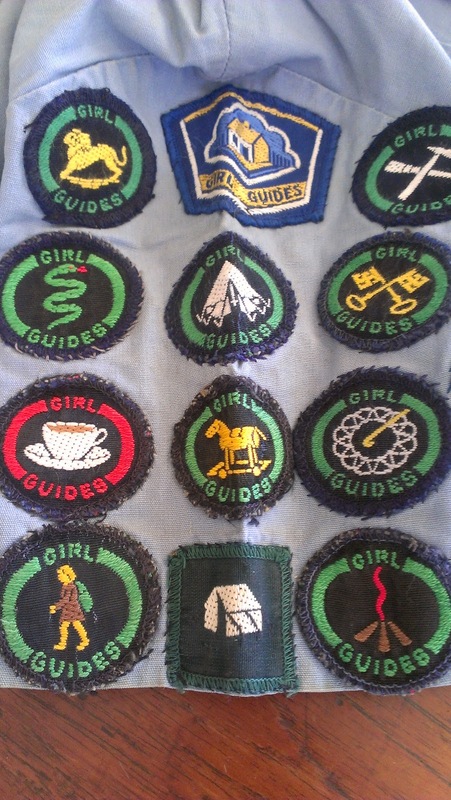 Or (more importantly) were you a Girl Guide? What skills did you learn that you still use? (Come on... don't be shy!). How is your reef knot and your round turn and two half-hitches? Do you tie and tie and light a fire better than your Lad? Like getting dirty? Handy with a trenching tool in the dark? Too'wit, too'woo! I am contributing this to My Creative Space. See what others have been making this week.